Convenience and natural cleaning power now combined into one ready-to-use all-purpose wipe. 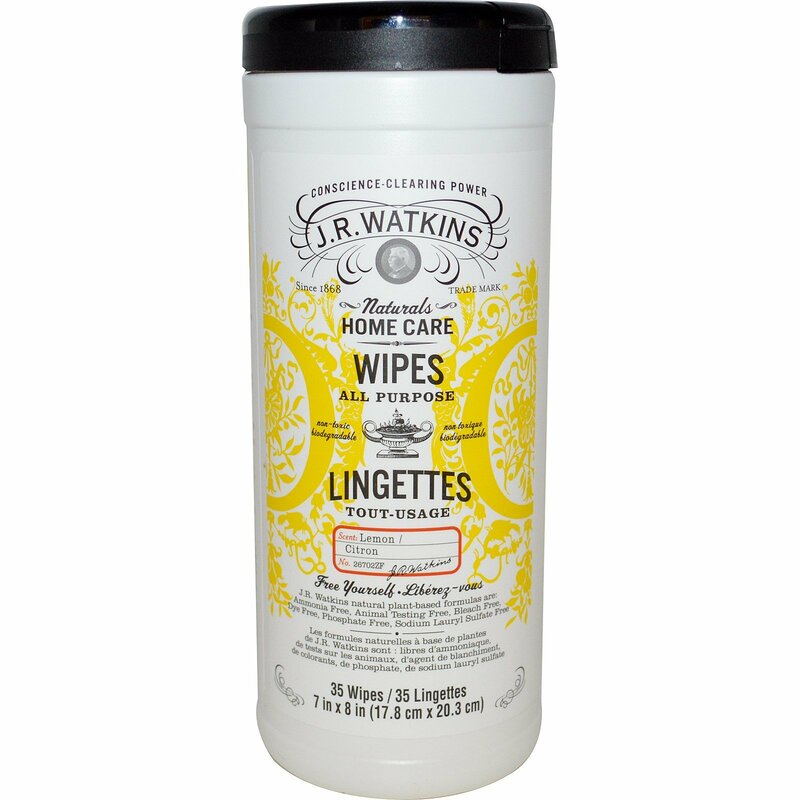 Effortlessly wipe away dirt and grime with these biodegradable, septic safe, durable wipes. Keep a pack in the car for messes on the road! Pull out wipe from center of roll and feed through lid. Next wipe will pop up automatically. Close lid to retain moisture. Test questionable surfaces in an inconspicuous area prior to use. J.R. Watkins proudly discloses all ingredients. J.R. Watkins natural plant-based formula are: Ammonia free, animal testing free, bleach free, dye free, phosphate free, sodium lauryl sulfate free. 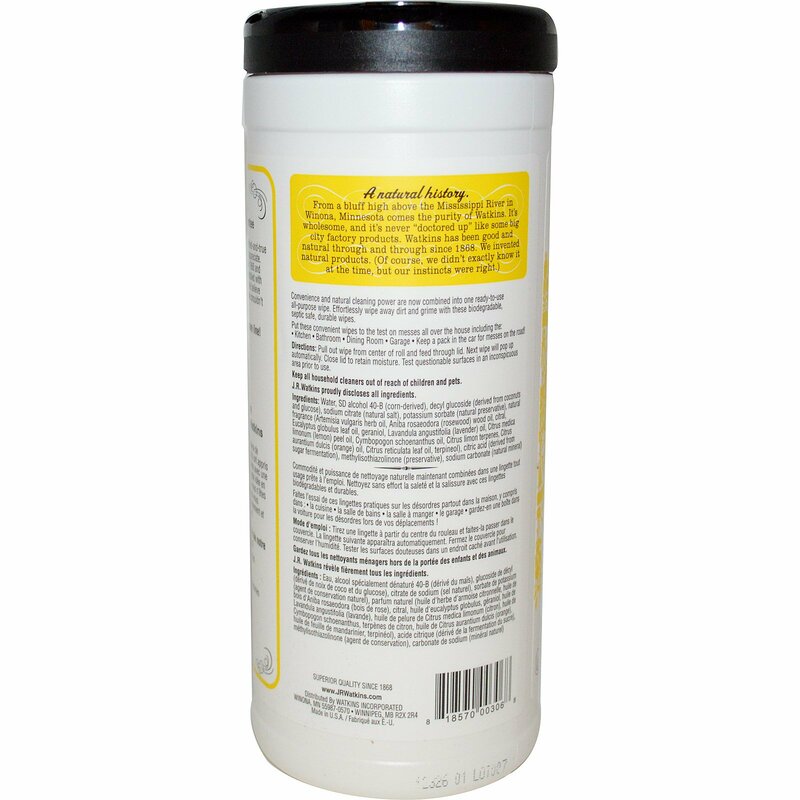 Keep all household cleaners out of reach of children and pets.